Kramer's C-TOSLINK/KRTL Optical Digital Cable is designed to connect your DVD player, CD player, satellite receiver, game console or other digital audio equipment for clear, accurate and fully detailed sound. Quality Construction - High-quality 1.0mm PMMA optical fiber with 2.2mm of shield, PVC jacket and an overall stylish braided jacket which adds flexibility and durability for years of listening pleasure. 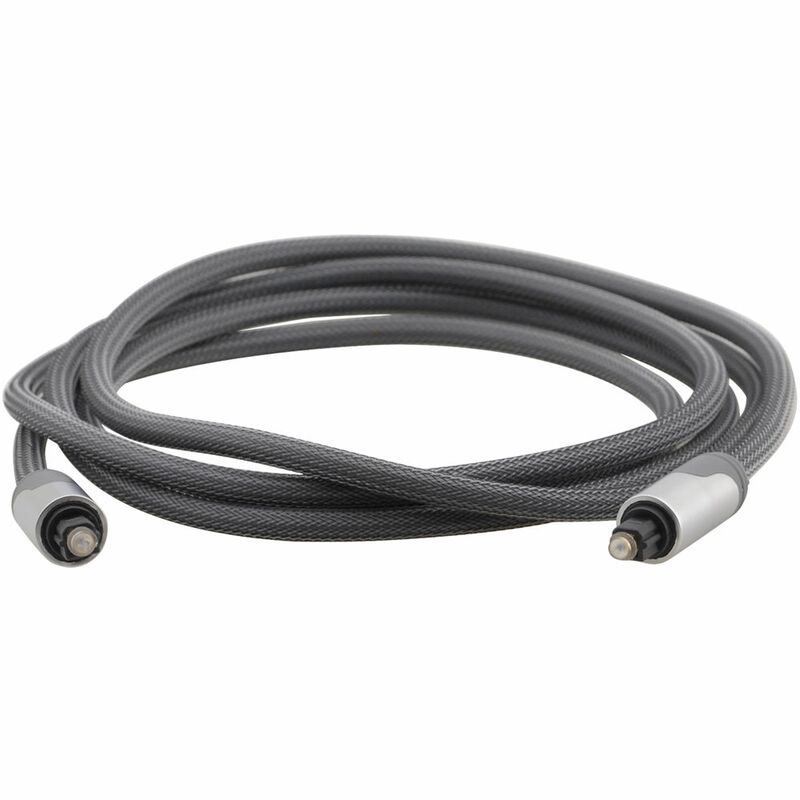 Zero EMI - Optical digital cables use light to transfer the signal, thus completely eliminating any chance for RFI, EMI or ground loop interference. Non-Slip Rubber Connector - With Zinc alloy metallic shell enables easy installation. Protective Plastic Cover - Protects lens from dust, dirt, and other material. Maximum Optical Data Rate - 100Mbps. Varied Selection of Lengths - Available in versions of 0.8, 1.2 & 2.0m (2.6, 4 & 6.6ft). Box Dimensions (LxWxH) 11.2 x 4.1 x 1.5"